Today we are presenting to you Mr. Jovnal, 32 years old hard working father of three daughters. Like most of Bangladeshi workers, he takes care of his family back home by sending them his earnings. 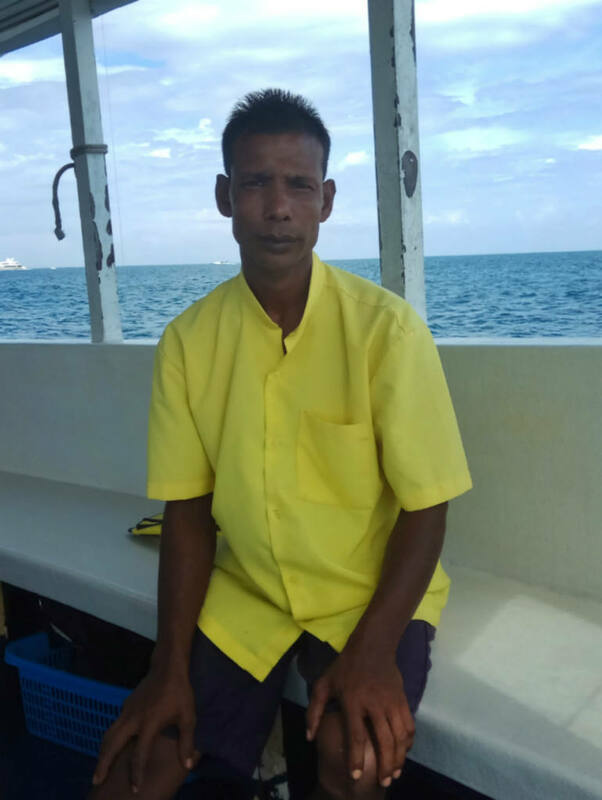 He has been working here on Maldives for last 6 years, working on the “snorkelling boat” of Medhufushi island resort. Not too keen to try diving, he prefers to stay on the surface, but very curious when it comes to diving equipment and helpful with the guests.